For a very long time I have wished to see elephants in a natural habitat. After much research we decided to visit the Elephant Jungle Sanctuary. Elephant jungle sanuatary is an eco tourism project. 60 km outside of Chiang Mai. 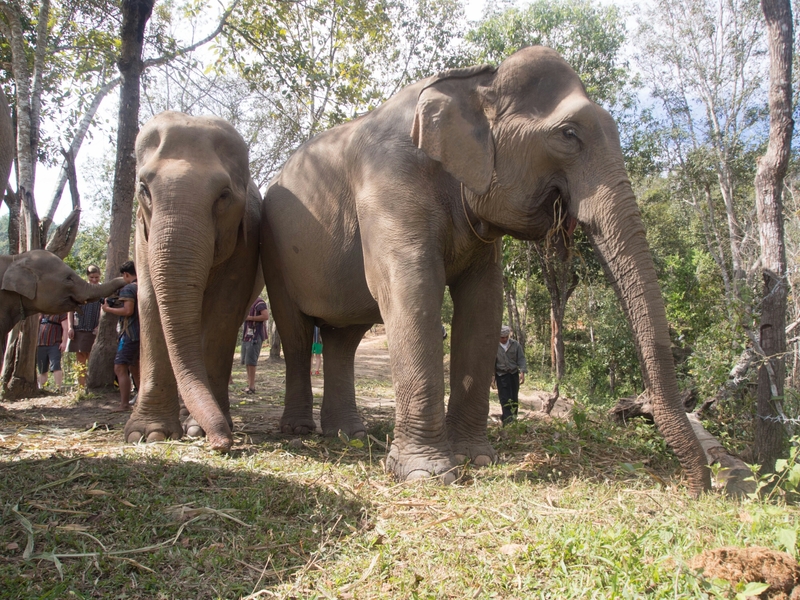 This project gives elephants a second chance and a place to live free from danger and harm. The money to visit the camp go towards keeping the elephants well fed and happy. 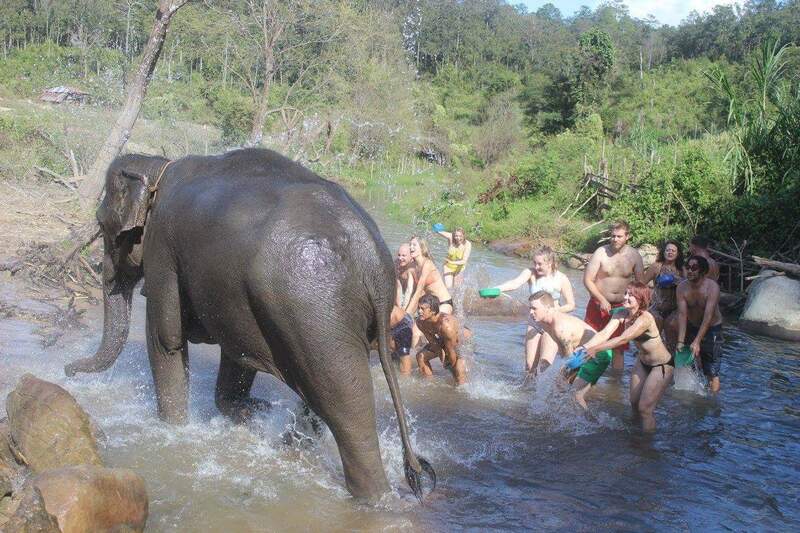 unfortunately there are still many elephants used in tourism and very few are treated well. elephants are not designed to carry weight on their back and strongly disagree with trekking. Its official elephants have become an endangered species. The camp we visited was a natural habitat to 7 elephants which had been rescued from tourism. 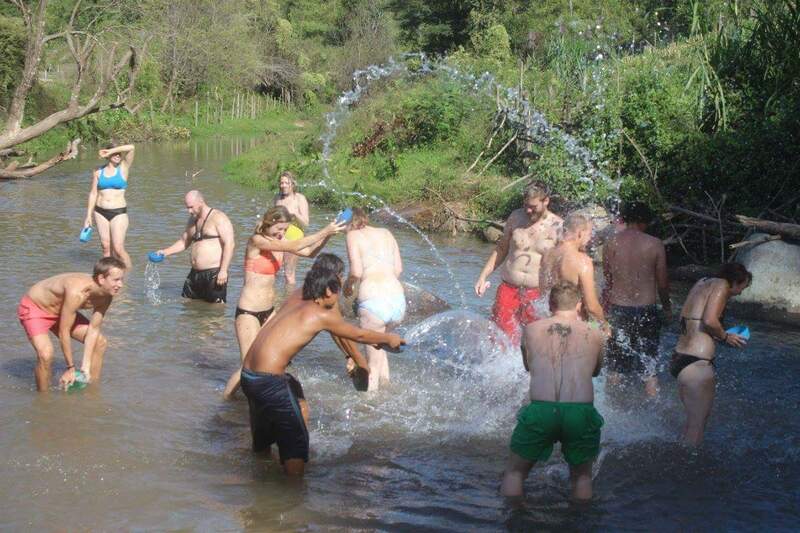 with a 15 minute walk through the jungle and across a river we reached the camp. We were briefed by our guide about the elephants living at this camp, what to expect and how to approach the elephants correctly. My first glimpse of the elephants, I was full of butterflies mixed with adrenaline. we changed our clothing, whilst provided with a traditional manut top to wear. I was informed this is because the elephants recognise the design and can trust the humans. 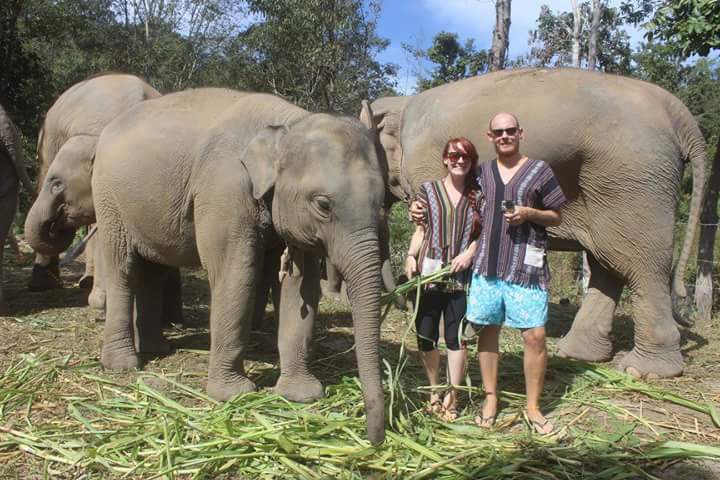 We spent some quality time feeding the elephants bananas and fresh grass. 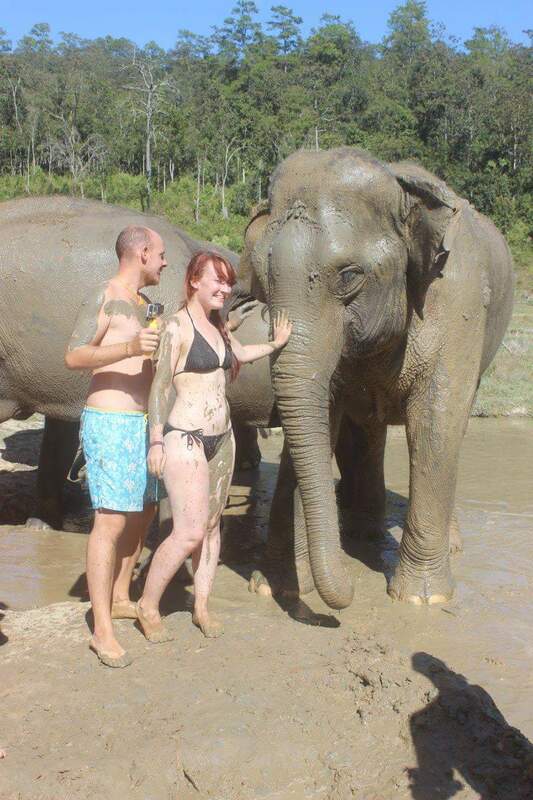 it was nice to give the elephants lots of love. After much time devoted to giving these gentle giants lots of affection. we followed them down to the river where they enjoyed drinking the water From the river. Elephants drink around 2000 litres along with 150 kg of food per day. it was so incredible getting so close to them. After a great morning, we were provided a very tasty and satifying lunch of rice, chicken and vegetables. After lunch we enjoyed learning how to create Medicine balls for the elephants. with a mix of rice, wood and bananas crushed up with form them into nice balls. The afternoon we enjoyed some mud bathing with them. of course myself and markus didn’t waste the opportunity to get completely covered with the assistance of the guides. The mud we rubbed on the elephants ruff skin. with them spraying water everywhere. I never laughed so much. walkng along the river the elephants embraced in rolling around in the river. it was so lovely seeing these creatures enjoying being themselves. The day at the camp was incredible, it was such an enlightenment to witness the life of these elephants. getting super close to these creatures. They seemed happy, they were allowed to roam freely, with the mahouts keeping an eye on them. 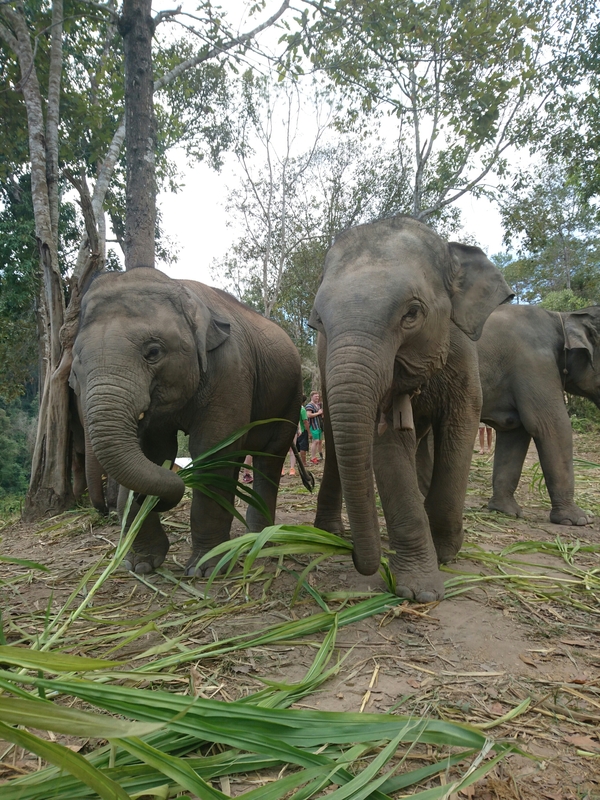 The mahouts didnt use any form intimidation to manage them, we felt assured these animals had genuine care and passion given to them. It is definitely one experience which I would recommend, especially to rise awareness of how endangered these beautiful creatures are. Previous postChiang Mai: cats, elephants, and tattoos.